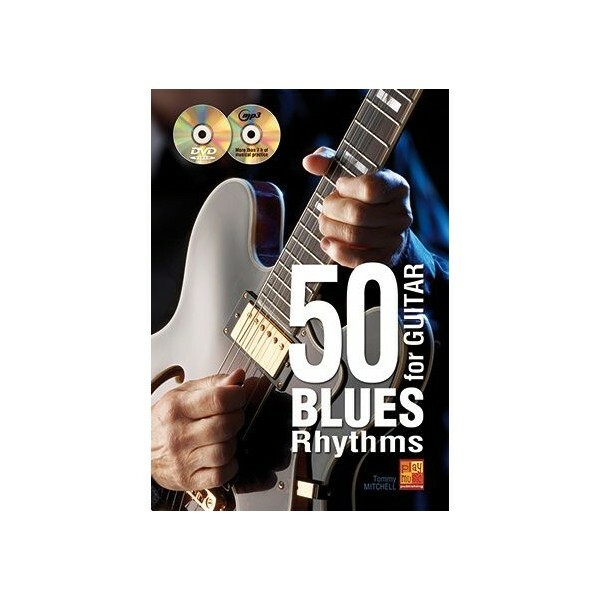 With its 50 Blues rhythms inspired by the biggest hits of the greatest guitarists of all time (Eric Clapton, Buddy Guy, Albert King, Muddy Waters, Stevie Ray Vaughan, Robert Cray, Albert Collins, B.B. King, T-Bone Walker etc. ), this tutorial will keep you pleasantly busy for quite a while. But there’s more to it than that! Besides affording pleasure, these rhythms allow you to discover and study the tools required for a good Blues accompaniment: triads, double stops, single notes, bends, barre chords, slides, hammer-ons, pull-offs, rest strokes, binary and shuffle rhythms, etc. All this is included in the guidelines given to you in the preliminary chapter – guidelines regarding the structure, the rhythm, as well as the chords employed. The DVD attached to the tutorial offers you the possibility to mindfully observe all 50 rhythms – first at actual playing speed, then at a slower speed. This again gives you the opportunity to closely follow the movement of the hands, to choose the right fingerings and keep a steady beat(!) 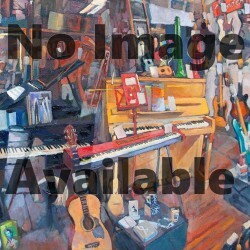 For its part, the MP3 CD is composed of as many backing tracks as there are rhythms in the tutorial; the 50 backing tracks are recorded at two different tempi: the intended tempo (actual playing speed) and the rehearsal tempo (slower speed). On the backing track at actual playing speed the Guitar is only present during the first round, then it disappears, yielding the floor to you. The backing tracks provided here are of an appropriate length (about 4 to 5 minutes each, which sums up to almost 7h of musical practice). This means that you have enough time at your disposal to practice under the best conditions.